‘Irrational persistence’ is the number one trait of successful entrepreneurs. 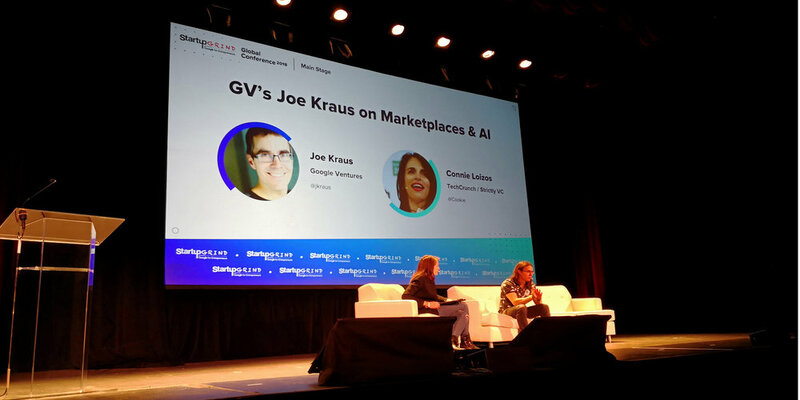 This is according to Google Venture’s Joe Kraus, speaking this week at Startup Grind’s annual global conference held at Redwood City, in Silicon Valley. The Heavy Chef crew is in San Francisco to investigate what makes this disruptive city tick, and bring back some of the learnings to Cape Town and our African entrepreneur community. Joe Kraus, in the second talk of the first day of Startup Grind’s packed event, gave us a glimpse of the answer: Kraus stated that we entrepreneurs are not, uh, normal. I expected much from my trip to the capital of capitalism, and San Francisco has not disappointed. Our small delegation of entrepreneurs arrived on Saturday February 2018 and — like true Africans — we immediately set about exploring our terrain. Embarking from the Holiday Inn Golden Gate, we spent the weekend walking then length and breadth of San Francisco’s peninsula tip. We visited Union Square, Chinatown, Pier 39, Blue Bottle Coffee, Golden Gate Bridge and Alcatraz. On Monday, we gawked at the cars at a Tesla outlet, played with Kickstarter-backed projects at Netgear, strolled the hallowed streets of Palo Alto, ate an ‘Impossible Burger’ (this is a plant-based burger that tasted pretty much exactly like meat, seriously), visited Ideo, Stanford University, Plug n Play accelerator, Hannahaus collab space and yes, ate at a Hard Rock Cafe. Caley was trying to convey what can only be described as a starry-eyed sense of the impossible — whether it’s creating a meaty burger without meat, or an accommodation company that doesn’t own any accommodation. People here in SF don’t follow the norm. Even the youngsters have a starry look in their eyes. Kavan, a 26-year-old programmer-in-training that we met at the conference, escaped Indonesia as a child and is now aiming to become an entrepreneur in either Health, Education or Finance. Why? “Because these areas are broken,” Kavan told me, with a sense of unwilting surety. It doesn’t matter that some of ‘these areas’ happen to be underpinned by millenia-old organisations — if they’re broken, they need to be fixed. Sometimes, it takes a 26 year old’s simplistic irrationality to see this. People are indeed a little ‘off’ here. Crazy. Like they don’t just think outside the box. They’ve cut the box up into multiple components and rebuilt it into a platform. According the Kraus, if the rules are stupid, then they should not be adhered to. This type of behaviour is not only okay in San Francisco — it’s applauded. Kraus was accompanied by a stellar lineup of speakers on then Startup Grind stage this year. Most of them beat this same refrain. Max Levchin, Reid Hoffman, co-founders of LinkedIn; Walt Mossberg, legendary tech journalist; Guy Kawasaki, Apple’s former Chief Evangelist; Steve Huffman, co-founder of Reddit; Mark Tarpenning, co-founder of Tesla; Ashley Tisdale, popstar and newly authorised tech investor; Leah Busque, founder of TaskRabbit; Kyle Vogt, founder of Cruise Automation; Zach Coelius, who spoke at Heavy Chef last year — and many more. The common thread with all these luminaries: The impossible is possible, here. This is a lesson that we Africans need to learn. We need to be a little ‘off’, in the words of Caley. A little crazy — crazy enough to embrace the impossible. Like Steve Jobs encouraged in his iconic advertising campaign, we Africans also need to celebrate the crazy ones. The ones living in flats in Woodstock (cough, the startup founders, not the drug dealers), in one-room pads in Zonnebloem, in garages in Kramerville, in living rooms in Khayelitsha and in Soweto and Port Elizabeth and Bolito. These are the fringe nutcases that evade our attention back home in Africa, our attention diverted by politics and ego. Let’s cast our eyes on these outcasts — the ones that refuse to adhere to the status quo — and uplift them. Bring on Africa’s irrational persistence. To join us on next year's Inspiration Delegation, email us at inspiration@heavychef.com for more information on the trip. Older PostHeavy Chef Is Moving Offices. 300m2 Of Prime City Real Estate For Rent.